In the storm that has encompassed the South during this Third Reconstruction, many have taken to defending the flags of the South in various ways. One popular phrase in the South immediately springs to mind: “Heritage Not Hate.” Our purpose is to analyse the effectiveness of this slogan. The greatest problem with “Heritage Not Hate” is that it puts the person propounding it immediately on the defensive. The initiation of any potential debate begins against the person making the statement. For example, we may use the following hypothetical conversation. Right off the bat, the conversation is turned to attack the very thing being defended. The set-up is very vulnerable, almost begging for an assault. The defender will be spending all their time trying to explain why he is not hateful (or a racist) and why and what heritage is and means to him. This is not an effective slogan at all. Secondly, the persons attacking the flag already hate the South’s heritage. Not only do they hate the South’s heritage, but they hate the product of the South- us, modern-day Southerners whose very existence prevents the “United States” from becoming the secular, Puritanical “City-on-a-Hill.” They don’t care if our flag’s not hate; it’s opposed to their modern-day bohemianism and thus they hate it. The slogan is effective only amongst other Southern nationals, and thus is “preaching to the choir” and not appropriate for many demonstrations, especially when we are prosecuting against something or someone, like Robert “Scallywag” Bentley. Thirdly, we need to make it known that the underlying issue is about peoples and not merely flags. The flag of Dixie (the CBF) represents people, and any attack on that flag is an attack on the people it represents (as Mr Steven Ingram said in Florida). Could a Russian tolerate someone attacking his flag? Could an Englishman separate his kin and kith from St George’s Cross? Flags are the embodiments of people. So what is a Southerner to do? What means could he or she use to more effectively propound the Southern identity? Many alternatives come to mind. “Stop Cultural Genocide” – This is the most popular of the new memes. Many have used this to great effect, putting forward the attack on the flag as an attack on the people. Even while opponents denounce its validity, they contradict themselves. “Save the Southern People” – Or an alternative, “Save the South,” once again appeals to an identity exclusive to the South that the flag represents. Opponents would be forced to admit that they hate the South and her people in any assault on the meme. “Feds Out of Dixie” – A more political meme, this should be used at rallies to make known Southern disagreement with Federal policies and the continuing Federal conquest against the South. It is best used with other memes which focus on Southern identity. By itself, however, it would certainly appeal to many Tenthers and conservatives and open into discussion about secession and its relation to people. “Yankee Go Home” – This appeals to the Southerner against Yankee transplants and implicitly puts forth Southern identity (here being opposed to Yankee identity). The above list is not exhaustive, but is merely meant to offer substitute for the failing slogan “Heritage Not Hate.” We look forward to working more on this issue in the future, especially as more demonstrations are organised across Alabama and Dixie. Nota Bene: Much of the discussion of memes stems from the work of Mr Michael Cushman. 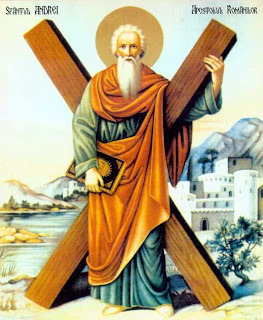 St Andrew’s News is indebted to his work, even if his specific articles on the subject are no longer available. Previous U.S. Response to Jihad?